We were lucky enough to sit down with many of the voices who bought the cast of Namco's Tales of Vesperia to life to celebrate the very late European release of the game. 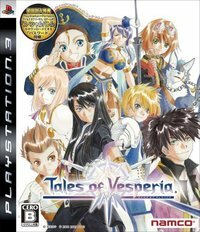 In the interviews we quiz the cast about the process of voicing a game, how it felt to work on a series as iconic as Tales while also finding out about their other work within the videogame and voice acting industries in general. Here's the links to see them all - we recommend you check them out, they're bursting full of information on Vesperia and working on games in general. Stick with us here at RPGSite for many more voice cast interviews and the latest on the Tales series!